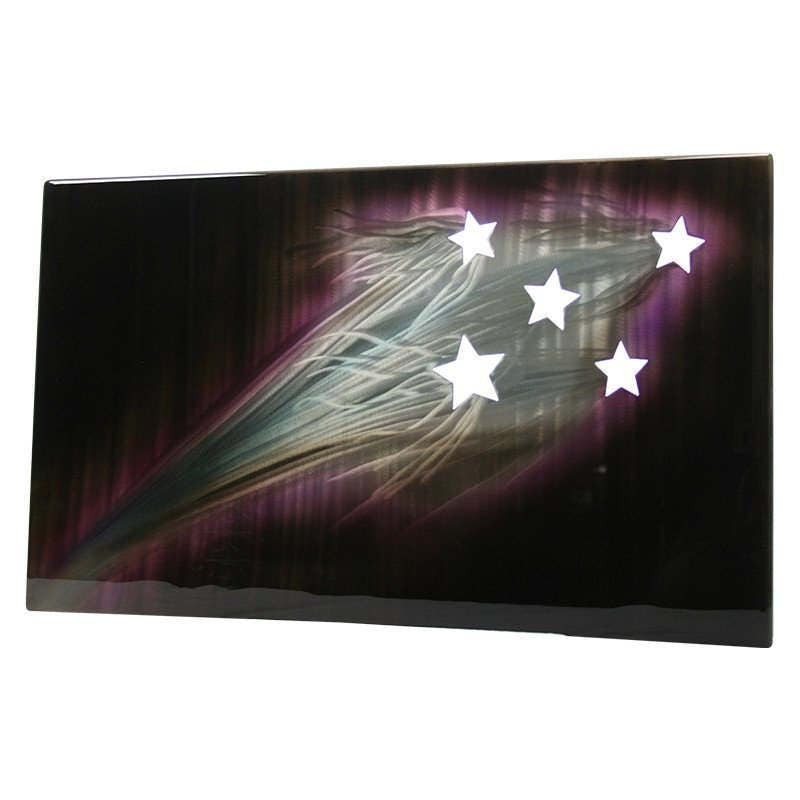 Shooting stars metal painting is an unbelievable piece of art! 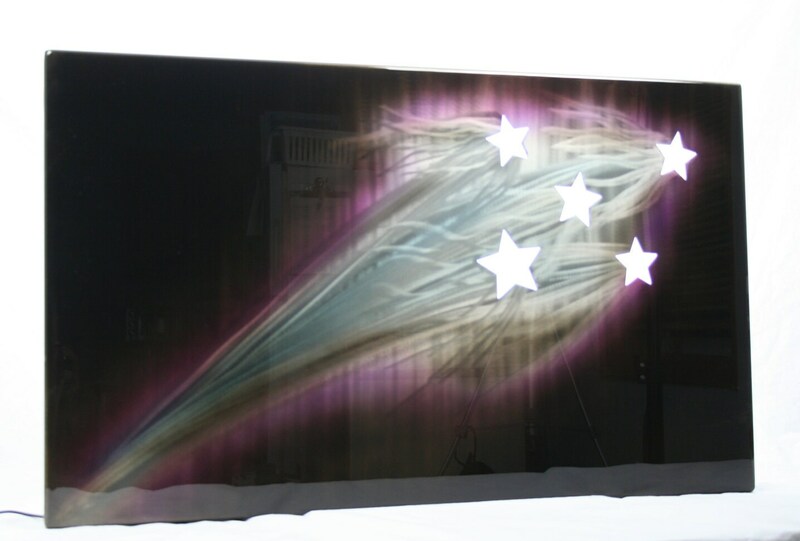 This polished aluminum art panel is astonishing! This beautiful sign begins with a thick, flat piece of aluminum. The stars are cut out of it. It's bent into a box shape 2" deep. 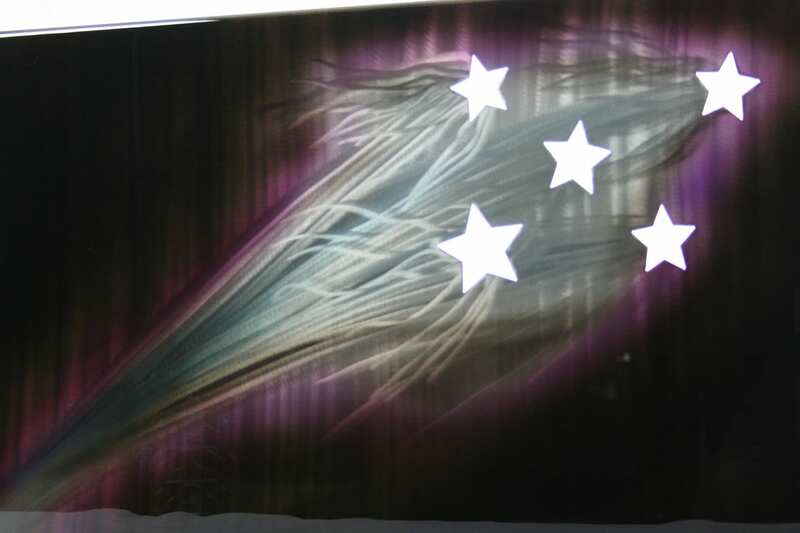 Then the whole face of the sign is polished to add the shooting pattern of the stars and the essence of clouds and fog. The light dances off the polished aluminum. It creates movement as you walk past! Sign is also back-lit with LED lights! The depth of the sign allows you to hide all electrical cords behind it. 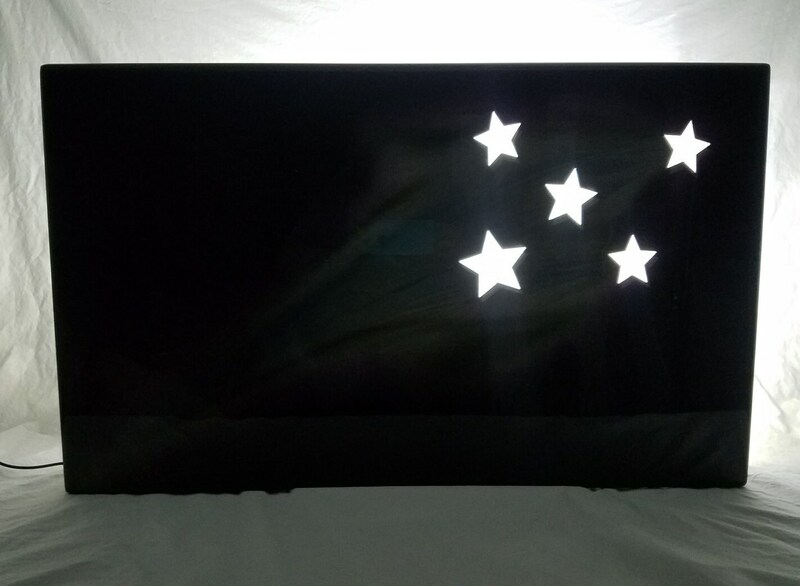 Creates a beautiful white light at night. Beautiful sign! This piece is 30" wide and 18" tall. 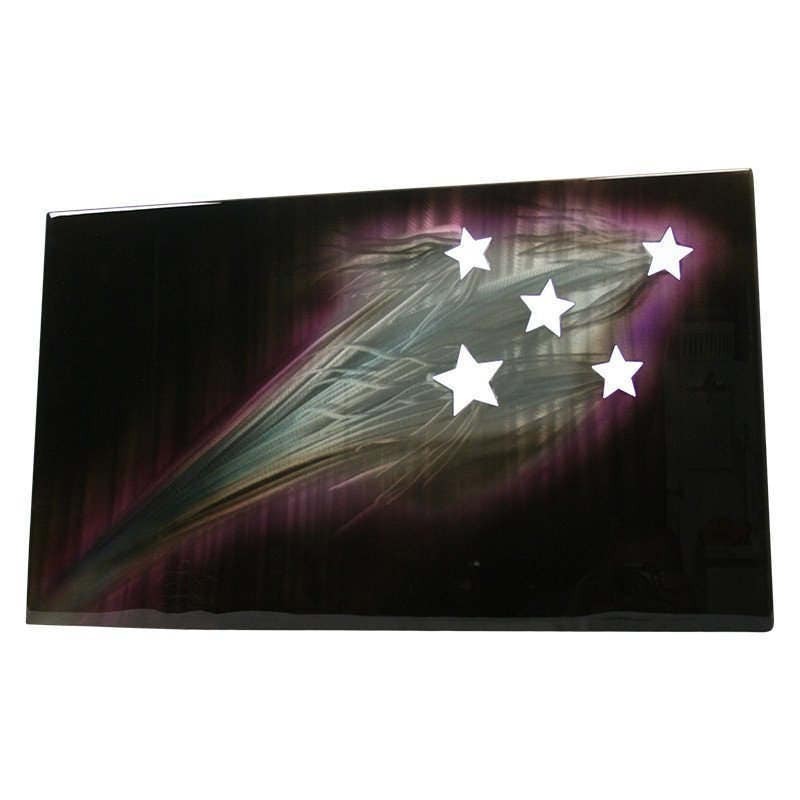 The shooting stars painting is a sturdy, lifetime art piece.